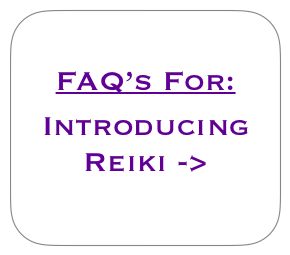 Reiki is a beautiful, peaceful and loving energy based practice that can be used for self-healing, meditation and in doing healing work for others. It is a very flexible and empowering practice that can help to bring us closer towards inner balane, health & happiness as we move closer towards our own truly divine nature. When people think of 'Reiki', they often think of the healing session environment whereby a 'recipient' is being treated by the healer using 'Reiki'. But Reiki is so much more than just this. It can be used in meditation & self-healing and as we embrace this beautiful concept of 'universal energy', we understand that actually, there are many types of beautiful divinely guided energies all around us. In some ways, Reiki can be described as being a beautiful and love filled pathway, one which leads us towards more purification, love & light. As we progress with this type of meditative healing, we begin to understand just how much love and light these energy based healing practices can bring into our life.